Harmony and Rock n’ Roll That’s Good for the Soul. Australian music legends The Delltones were told back in 1958 “Don’t give up your day job, this music is not going to last”. 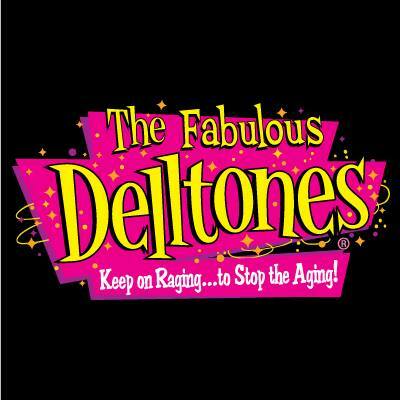 More than 55 years later The Delltones are still touring and delighting audiences with their highly polished, colorful and energized show. The Delltones perform their well loved classic songs ‘‘You’re The Limit’, ‘Get A Little Dirt On Your Hands’, ‘Come A Little Bit Closer’, ‘Hangin’ Five’ including DooWop, Pop and Rock n Roll songs “Get A Job’, ‘Papa Oom Mow Mow’ and ‘Mr Bassman’ from their full-blown revival in the mid 80’s Gold Album ‘Bop Til Ya Drop’ and their follow up album ‘Tickled Pink’. Catch The Delltones at Twin Towns on Saturday, 17th October 2015 at 8.00pm. Head over to Twin Towers Clubs & Resorts, Wharf St, (Cnr Boundary St), Tweed Heads NSW 2485. If you are planning to attend this event, you may want to stay at our Tweed Coast Accommodation. Our resort is just a few minutes away from the venue. Our self contained two bedroom two bathroom apartment features pool/garden terrace views. Amenities include three pools/one heated pool, spa and gymnasium. Free secure carpark, Dvds, Foxtel, boardgames, books, pool towels & babybath to use during stay. We also have three bedroom apartment and four bedroom apartments for larger groups. Perfect for families and friends, book your stay at our Tweed Coast Accommodation. Whether you’re going on a leisurelh holiday or a business trip, our resort has everything you need to enjoy a relaxing holiday. Aside from our fully furnished apartments, we also have guest facilities. Feel free to use the guest facilities which include three outdoor swimming pools, a fitness room, restaurant and bar, business centre, barbecue facilities, conference/meeting room, direct beach access, dry cleaning services, secure parking, spa, tour desk, and more.